Route. 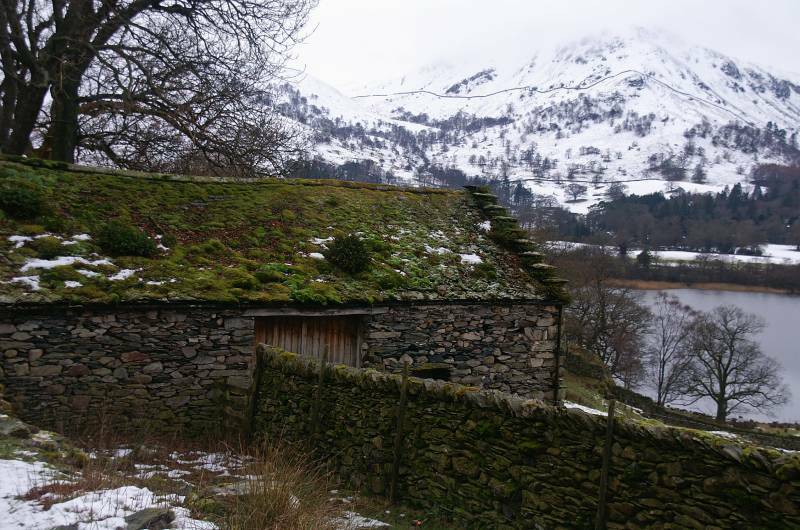 Patterdale - Boredale Hause - Round How - Place Fell - Hart Crag - Low Moss - Sleet Fell - Ullswater Shore Path - Side Farm - Patterdale. Notes. Today I got a lesson in not practicing what you preach, I always advise people "never be ashamed to turn back", instead like a fool I carried on, the voices in my head said "turn back go to Angle Tarn" stupidly I ignored them, just a bit further, just a bit further, until it was too late. I'd walked into a complete white-out, deep snow, no features to guide me, visibility about four feet. Using map, compass and G.P.S. 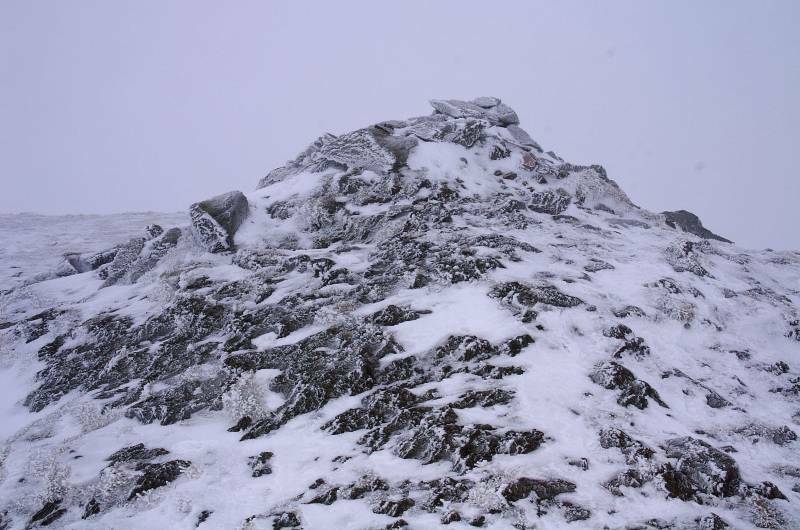 I managed to find the summit of Place Fell, from where I decided rather than turn back it would be safer to continue. 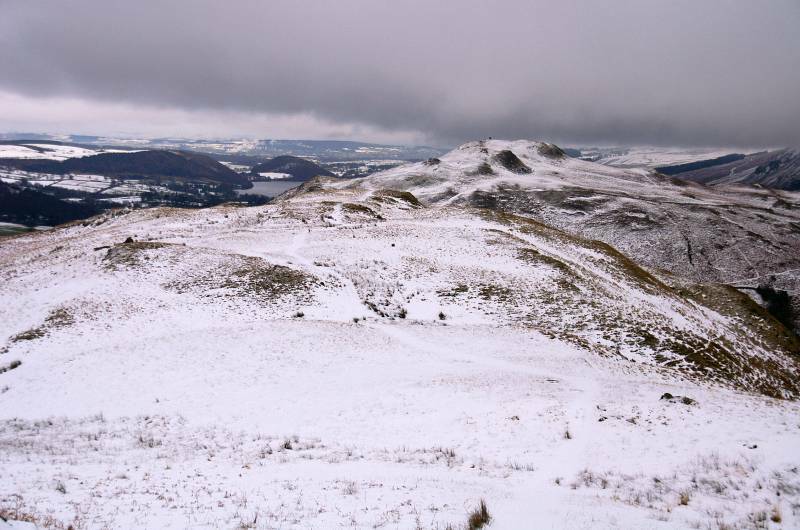 The conditions were so bad that a walk that would normally take three to four hours took over five, and that was without going wrong. 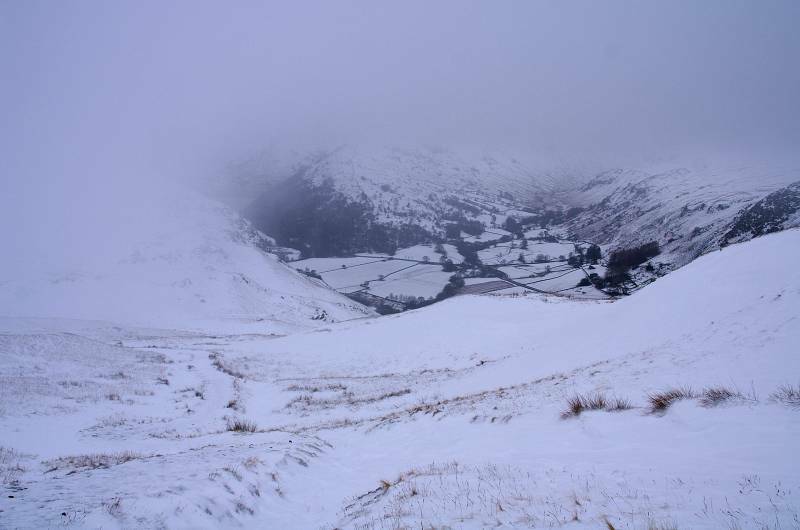 My day started in Patterdale, I crossed the valley on a tarmac lane to reach the twin paths ascending to Boredale Hause, here I turned north to ascend the steep southern slopes of Place Fell. The path came and went depending on the depth of snow. 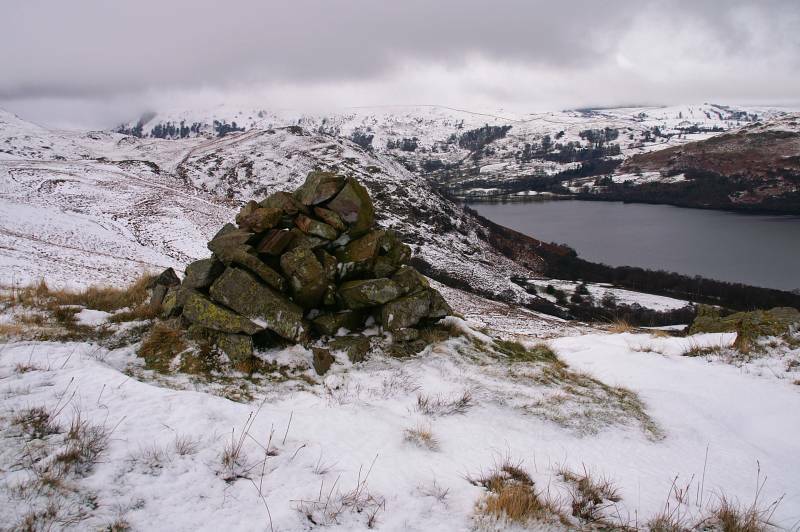 I eventually ascended through a deep snow gully to reach the cairn on Round How, from here the short walk to Place Fell summit took ages. My descent passed little Place Fell Tarn, or perhaps went through it, I don't recall seeing it, I was aware of crossing Hart Crag, there was air on both sides of me. 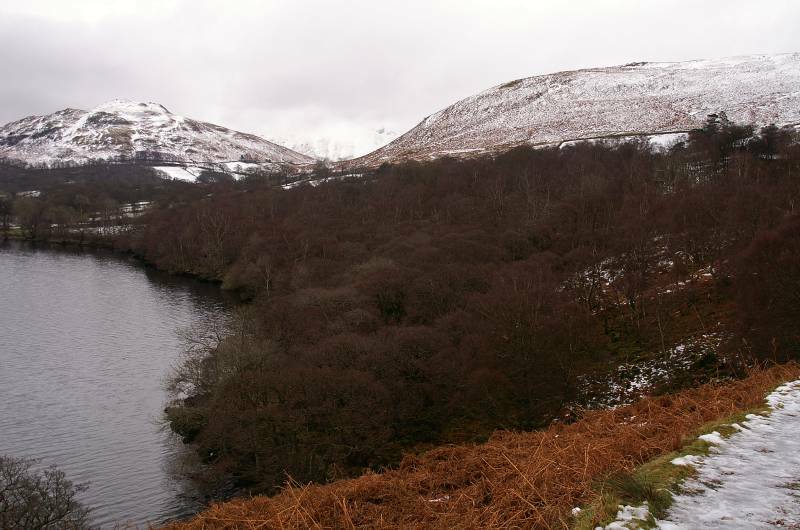 The first feature I recognized almost buried in the white stuff was the sheep fold on Low Moss. Still with no path visible I continued almost going wrong at this point, the ground was rising on my right instead of dropping, I changed direction and behold stumbled upon a path. 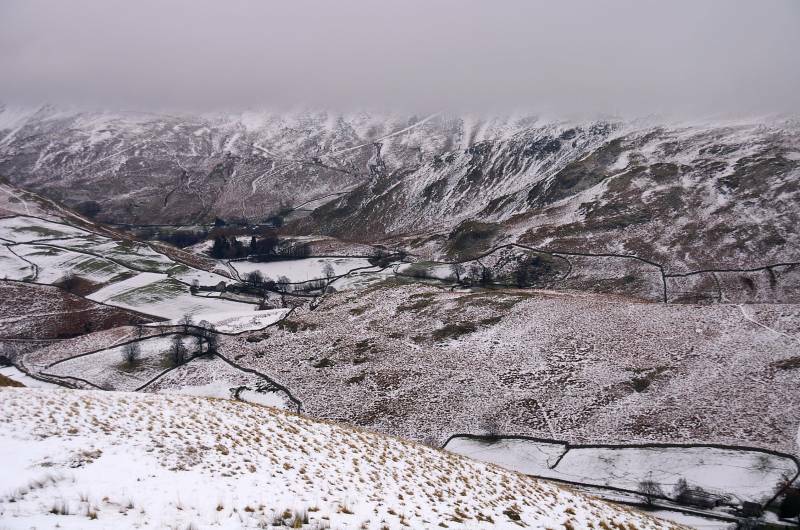 I was pretty sure this was the path I intended to descend on, suddenly I dropped under the cloud base almost at the cairn on Sleet Fell, I was knackered, time to take a short cut, north off Sleet Fell, no path but it was an easy descent in soft snow and dead bracken. 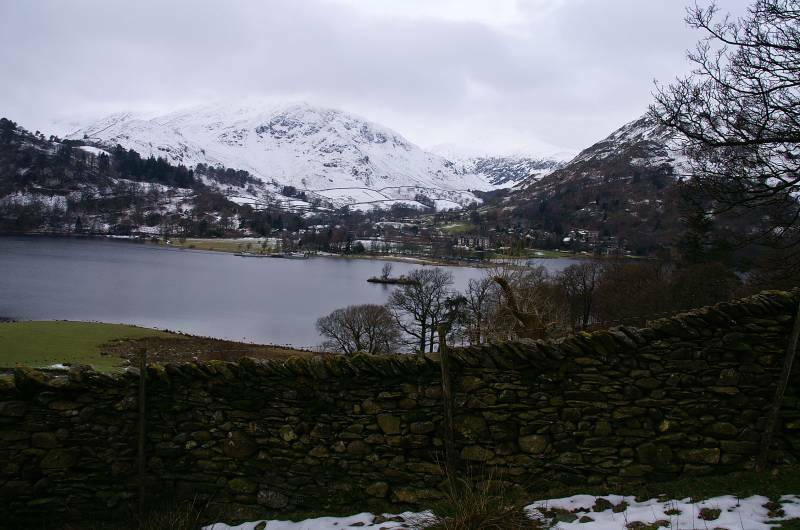 I soon wandered onto the Ullswater Shore Path, all that remained, to drag tired legs back to Patterdale, the short ups and downs took there toll I was glad when Side Farm came into view, even better the White Lion across the fields.. 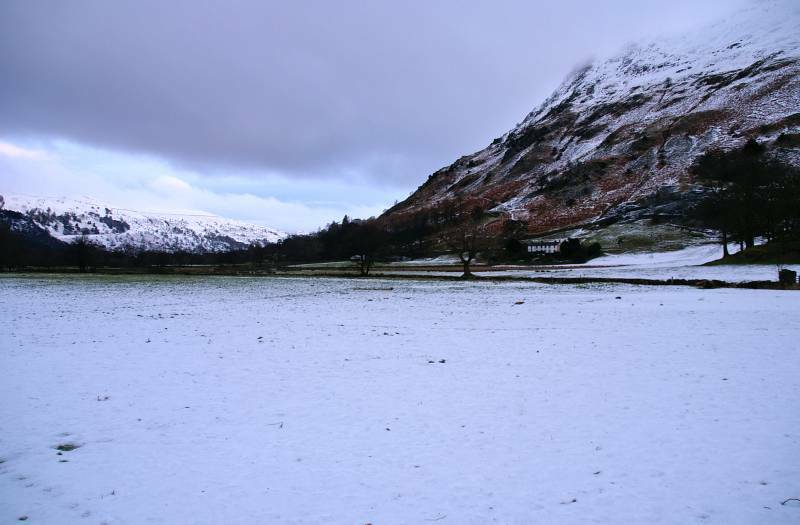 Rising from Patterdale, Place Fell looking rather benign from the valley floor. Viewing Keldas and the White Lion Hotel. 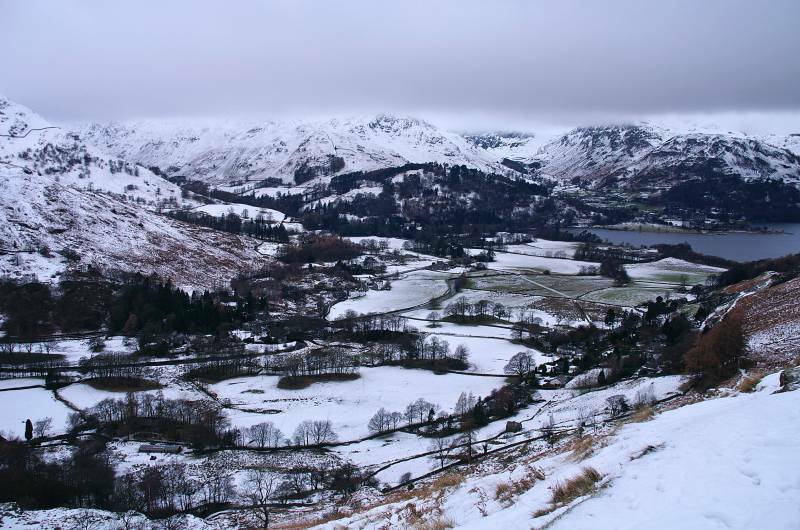 Winter conditions over Patterdale, looking to Glenridding Dodd and Sheffield Pike over the head of Ullswater. 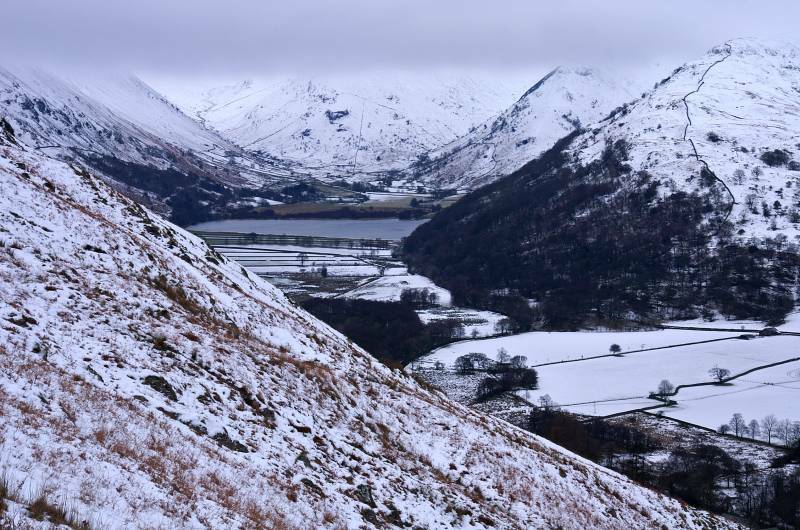 Nearing Boredale Hause with a wonderful winter view to Brothers Water. Under cloud Birkhouse Moor and Sheffield Pike, that band of cloud turned out to be a lot thicker than it looked. 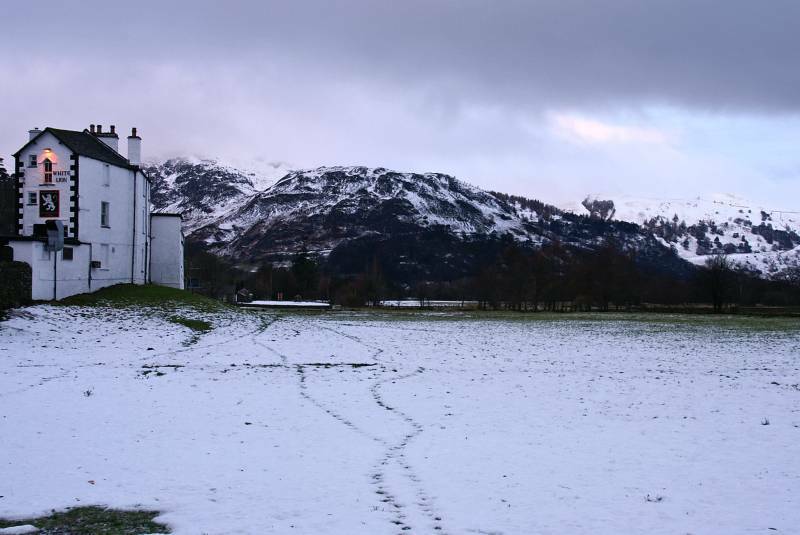 A wonderful winter wonderland through Deepdale. And that's the last view I got for a couple of hours, Deepdale through a window in the cloud. 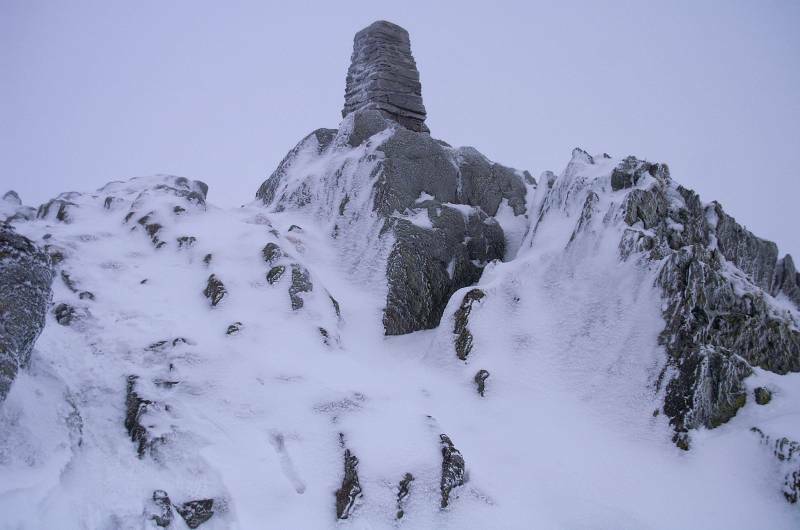 The summit cairn on Round How. 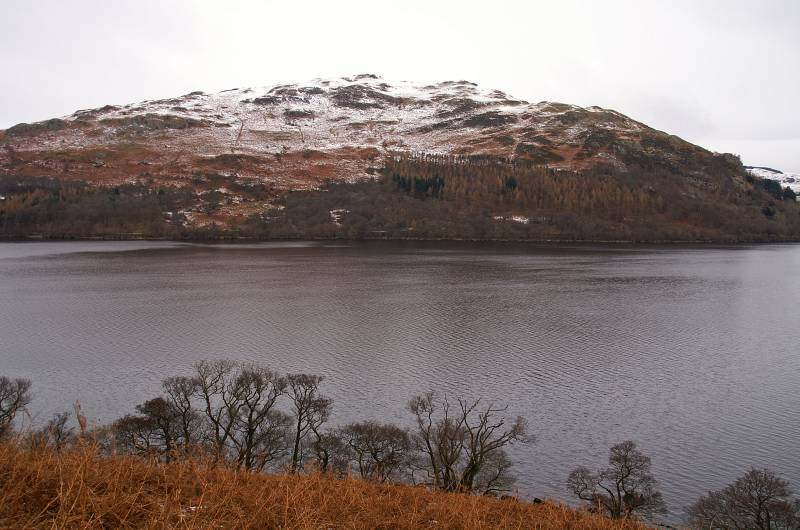 Back in the land of sensible walking, Hallin Fell seen across Sleet Fell. 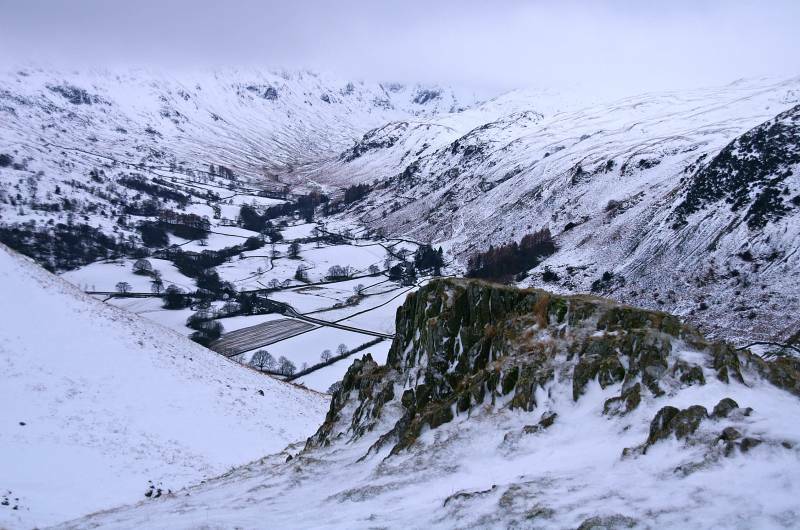 Boredale and Martindale two of Lakeland's quieter corners. 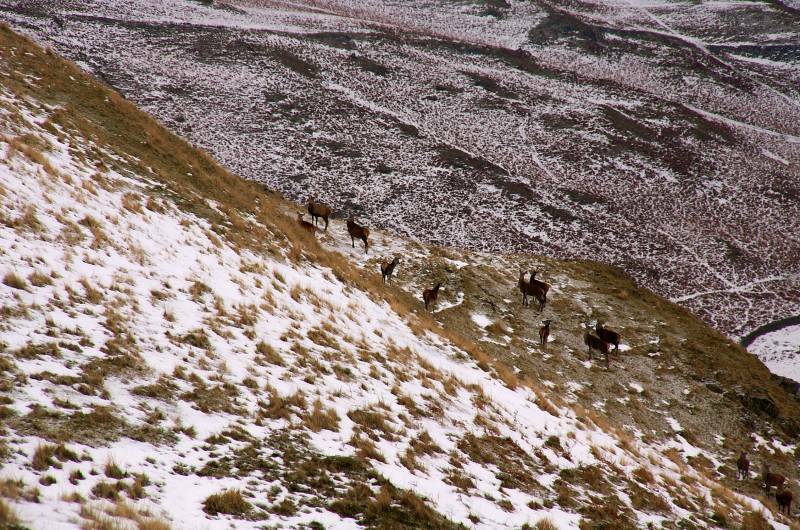 Residents of these parts, Red Deer were bred in large numbers in Martindale, sport for the upper classes, the're now left free to roam these hills. 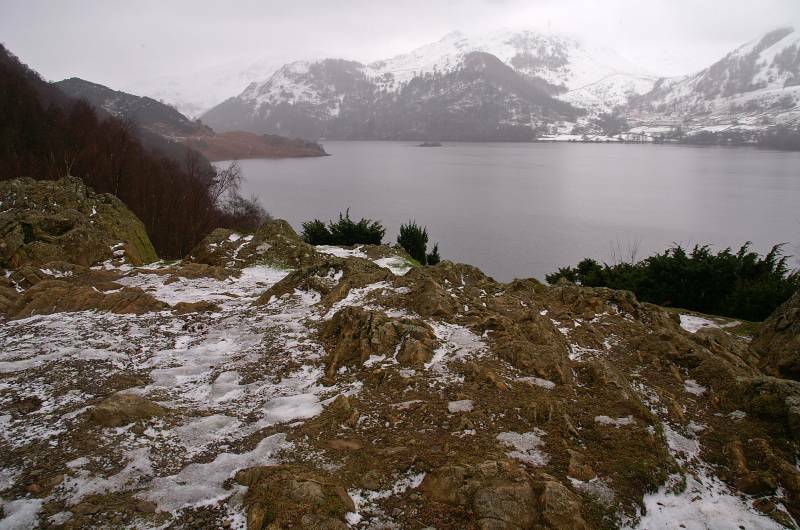 The summit Sleet Fell, looking down on Ullswater. 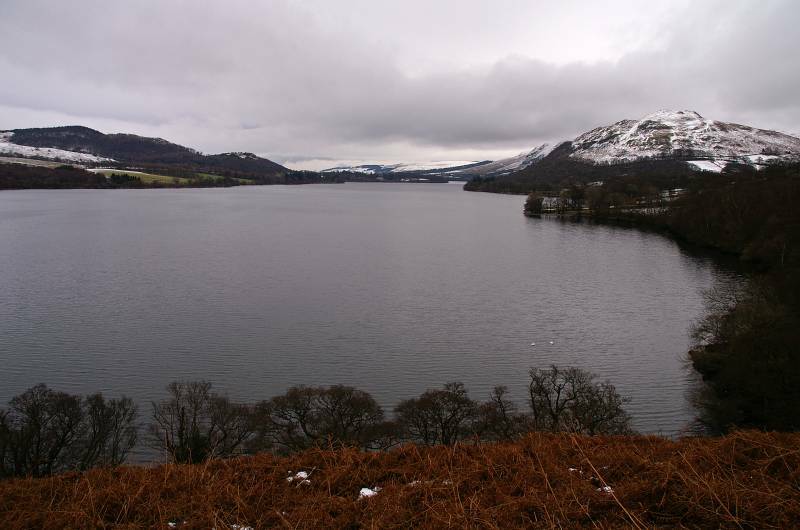 The length of Ullswater, seen from the shore path under Roscombe Rigg. 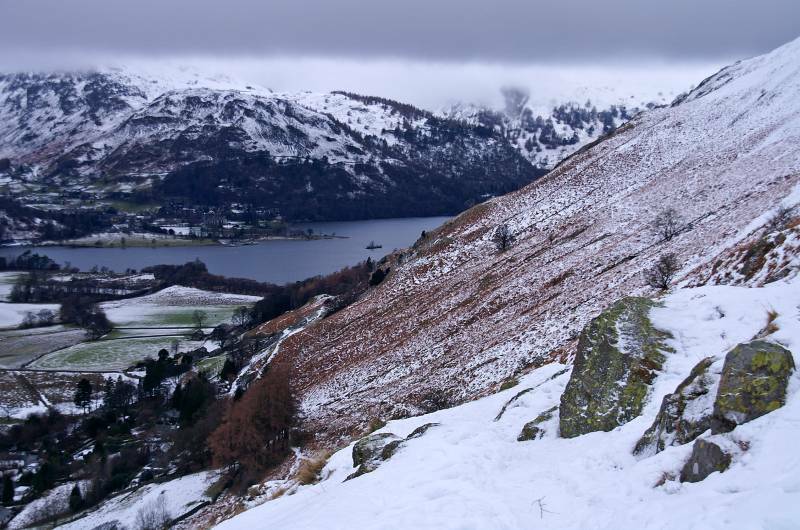 This is easily the busiest path in the Lake District, there's not a soul on it today, looking to Hallin Fell and the slopes of Sleet Fell. 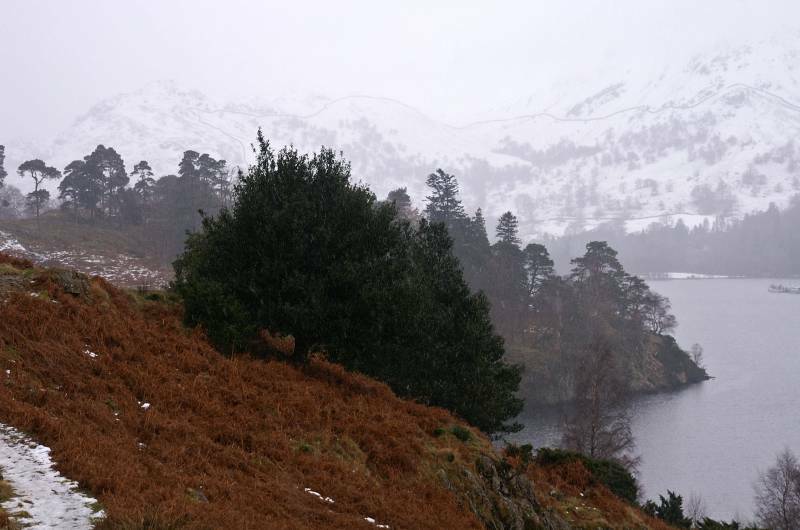 Hallin Fell through a heavy snow shower. Looking south towards Silver Point. 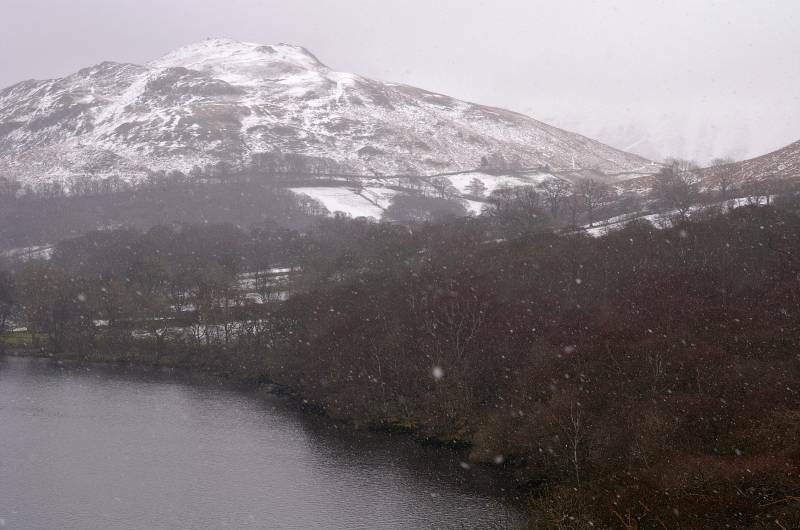 A Hazy view over Ullswater, it looks like it's snowing quite heavy over Glencoyne. Typical Lakeland barn passed en route to Side Farm. 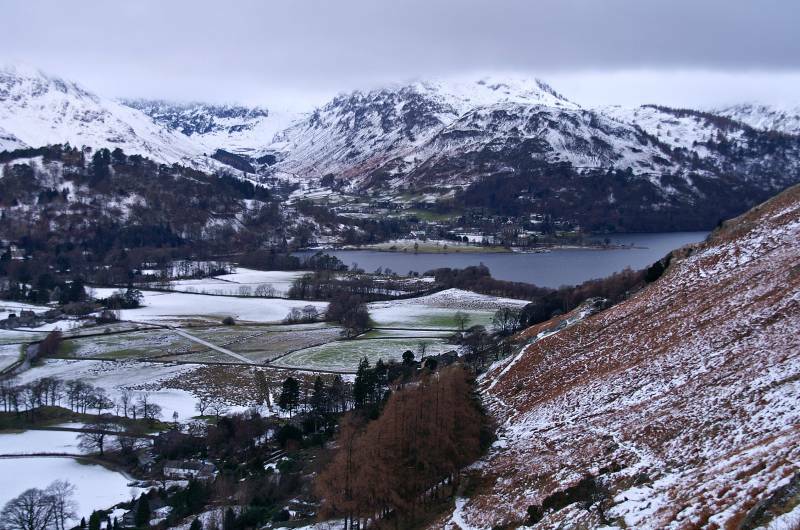 The scene over Ullswater taking in Glenridding and Birkhouse Moor. 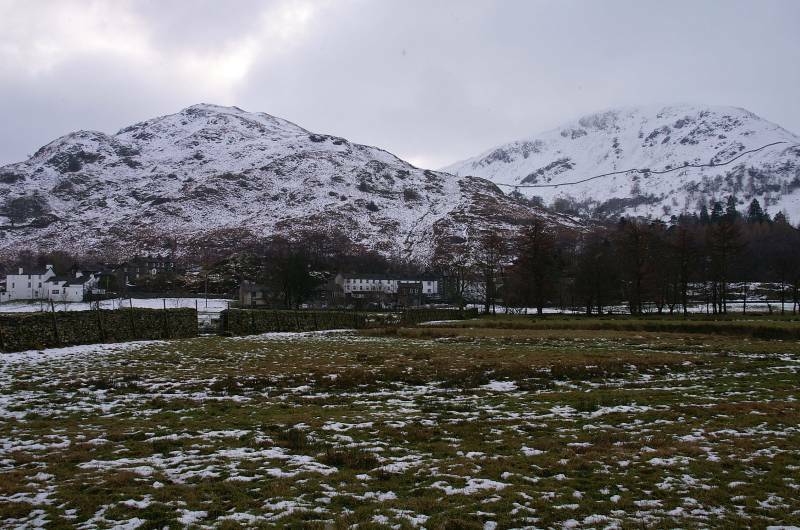 From Side Farm views across the fields to Arnison Crag, far left the White Lion my next port of call.